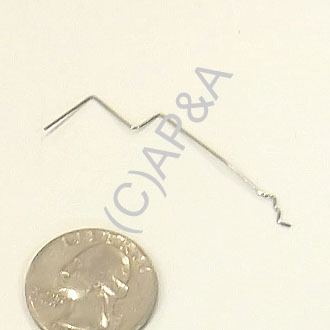 Pre-bent coin switch trip wire used on some Williams and possibly late-model Bally games. Measures 1-7/8-inch overall length. Shaped as shown in image, but can be bent as required. Fits in microswitch type coin switch such as our # 42-1075-00 or # 42-1351-00.